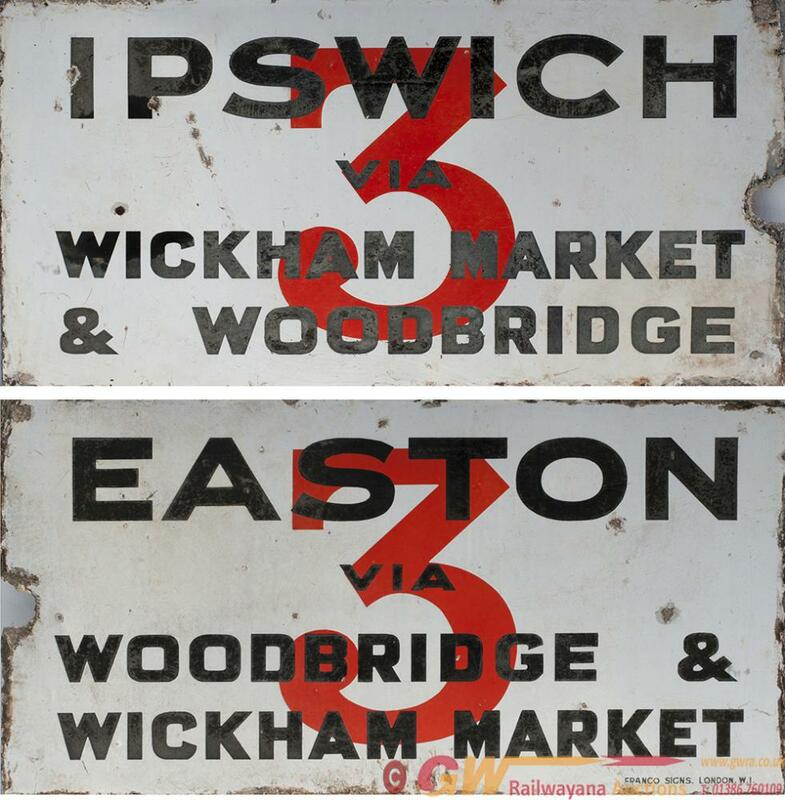 Bus motoring double sided enamel sign, one side EASTON VIA WOODBRIDGE & WICKAM MARKET, the other IPSWICH VIA WICKHAM MARKET & WOODBRIDGE. Measures 28.5in x 14.5in with maker?s name Franco Signs London W1 to bottom. In good condition with a small amount of loss and edge chipping.